In the master guitar course, we work our way through the final thirty-five chromatic and sweeping exercises. When you feel comfortable playing an exercise at a reasonable tempo, compare it with chromatic exercise 2. When that exercise reaches 130-140 BPM, you can stop this madness! Starting off with Chromatic exercise 32-34, we combine different 16th note clusters. Next, we play the same rhythms, but now sweep them in Sweeping exercises 35-42. The quickest way to achieve this is to practice all these different exercises, not just get stuck on one or two. Together they will fine tune your accuracy and get your speed up to new heights. Also, don’t spend two hours playing these once a week – that will probably do more harm than good! Instead, you want to do this little and often. You don’t have to break any speed records, work on accuracy and your speed will soon improve. 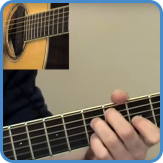 Turn to the step by step guitar course for best guidance. These final exercises are really difficult. 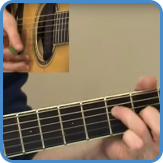 Practice these regularly and you will have few problems with pick control and the synchronization between your right and left hand. 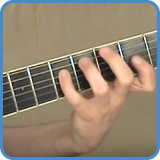 Chromatic exercise 43-46 are the most difficult as they use complex rhythms. Sweeping exercise 47-50 use the same rhythms as exercises 43-46 but sweep them. Chromatic exercise 51-58 start with rests, essential practice if you want to become really quick. Sweeping exercise 59-66 are the same as exercise 51-58, now we sweep them.